Australia will have to respond to a formal complaint at the United Nations that procedures followed by the NSW Independent Commission Against Corruption (ICAC) breached obligations under the International Covenant on Civil and Political Rights. A person found by ICAC to be corrupt was never given his day in court to contest the charge owing to the lack of an ‘exoneration protocol’. The NSW ICAC certainly gave the impression of operating like a star chamber with a cavalier disregard for due process and the presumption of innocence, with no right of appeal to test the merits of its findings. That said, specific human rights breaches aren’t so grave and substantial as to disqualify Australia from membership of UN human rights bodies. On 16 October 2017, Australia was one of 15 countries elected to the United Nations Human Rights Council (HRC) for a three-year term (2018–2020). When Australia first announced its candidacy, Canberra found itself in a three-way tussle—alongside France and Spain—for two vacancies in the West European and Others Group (WEOG). But in July, when France announced it was postponing its candidacy until the next term (2021–2023), Australia’s election became a formality, criticism of its human rights record in dealing with refugees notwithstanding. During the campaign, Australia noted that of the 13 seats in the 47-member HRC allocated to the WEOG, nine were held by EU members. Australia also noted that it had never served on the HRC. In fact, no Pacific nation has served on it, and although Australia is a member of WEOG, we really are—and project ourselves in the UN setting—as an Asia–Pacific nation. The other 14 newcomers to the council include Congo, Pakistan and Ukraine. Current HRC members include China, Egypt, Saudi Arabia and Venezuela, together with Germany, India, Netherlands, South Korea, Switzerland, UK and USA. Chile also joined the council. Thus the composition of the HRC is mostly good but far from perfect. The same is true of the UN record on human rights more broadly. The HRC may not kowtow to every Western demand, but it isn’t uniformly anti-Western either. On 6 September, the report of the HRC Commission of Inquiry concluded that an ‘extensive body of evidence’ pointed to the Syrian air force being responsible for the chemical attack in Khan Sheikhoun in April 2017 that killed more than 80 people. The universalisation of the human rights norm and the extension and diffusion of international humanitarian law were among the major achievements of the last century. The UN was at the centre of that effort, including the adoption of the Universal Declaration of Human Rights in 1948 and of the two 1966 covenants—one on civil and political rights, the other on economic, social and cultural rights. Together these mapped the international human rights agenda, established the benchmark for state conduct, inspired provisions in many national laws and international conventions, and provided a beacon of hope to many subject to the worst abuses. Although the UN is good at setting standards and proclaiming lofty norms like the Universal Declaration, it’s ineffectual at policing them and punishing the abusers. This has become especially obvious with credible allegations of abuses against UN peacekeepers themselves. The explanation for the discrepancy is simple. There’s an unresolvable paradox at the heart of human rights. On the one hand, the gamut of human rights machinery—from laws to police and the justice system—requires a functioning and effective system of government. Some of the worst atrocities occur under conditions of state failure and anarchy. On the other hand, some of the worst human rights abuses are committed by agents of the state when government is captured by thugs and criminals. For all the grandiose opening words of its charter, which begins ‘We the peoples’, the UN is an intergovernmental organisation. 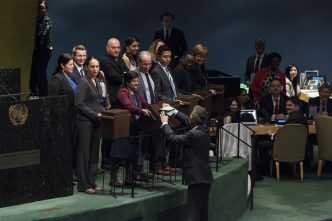 Universal membership imbues it with a unique legitimacy to affirm universal principles and global norms. But as an organisation of, by and for states, it fails miserably in holding states to account on human rights abuses. This explains why the HRC has also been captured by governments, including abuser governments, at the cost of the ideal it’s meant to promote and defend. 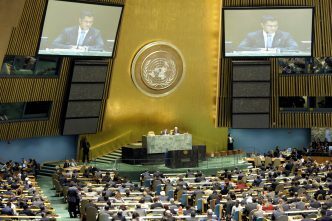 As part of its argument for election to the HRC, Australia promised a five-pillar policy agenda of advancing the rights of women and girls; promoting good governance and strong democratic institutions; promoting and protecting freedom of expression; advancing human rights for indigenous peoples; and promoting strong national human rights institutions. The last two items raised some questions given the sorry state of Australia’s indigenous populations and the well-publicised stoush between the Abbott–Turnbull governments and the Gillian Triggs-led Australian Human Rights Commission. 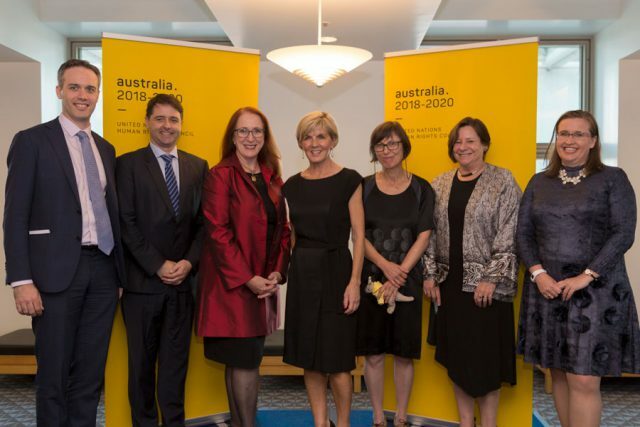 Australia has the bureaucratic, legal, technical and financial resources of a ‘top 20 nation’. Harnessing those, Canberra could promote three more agendas. First, human rights have suffered setbacks on three broad fronts. 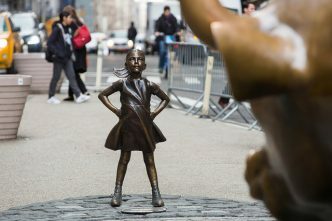 It would be good to have the HRC take a careful look at whether the best balance has been achieved on the curtailment of civil liberties on the altar of counterterrorism; the subordination of core human rights like free speech to group-based anti-discrimination measures; and the creeping expansion of the administrative state that bypasses traditional due process rights enforced by the courts. Second, Australia should support the French initiative for a code of conduct among the UN Security Council’s permanent five members on the use of the veto, the abuse of which was labelled ‘pernicious’ by the UN human rights chief in his final address to the HRC on 26 February. Third, Australia could initiate reforms of the HRC itself, starting with an end to the system of bloc nominations. Former Human Rights Deputy High Commissioner Bertrand Ramcharan suggests that states should nominate individually; that the number of candidates from each group should be at least 150% of the number of vacancies to ensure that there is always a genuine contest; and that human rights NGOs should be given the opportunity to offer written submissions on the candidates. This would greatly reduce the chances of countries known to be gross violators of human rights of being elected. Finally, another pathology of the HRC that has been inherited from the old Human Rights Commission is the byzantine special procedures system of fact-finders, special rapporteurs and analysts, and suspicions of nepotism and cronyism in their appointment and re-appointment. Ramesh Thakur is a professor at the Australian National University and co-convenor of the Asia–Pacific Leadership Network for Nuclear Non-Proliferation and Disarmament. Image courtesy Department of Foreign Affairs and Trade. 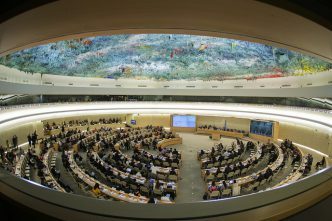 Australia and the Human Rights Council: principles or opportunism?